Kelsey Camila Meza, a 17-year-old Latina, was pronounced dead on Wednesday, Dec. 5, in the 800 block of West Colorado Boulevard in Monrovia, according to Los Angeles County authorities. Kelsey was found in her upstairs apartment along with her 41-year-old mother, Cecilia Meza, who was also dead, according to Los Angeles County Sheriff’s Lt. Derrick Alfred. Michael Mark Lowe, a 43-year-old Latino, died on Saturday, Dec, 2, after he was shot in the 100 block of East Olive Avenue in Monrovia, according to Los Angeles County coroner’s records. Lowe and a friend were at the Gem City Grill on at about 11:40 p.m. Dec, 1 when four people from a rival gang came into the bar, said Los Angeles County Sheriff’s Lt. John Corina. Two of the newcomers began arguing with Lowe and his friend, Corina said. Lowe, his friend, and another patron at the bar were struck by the gunfire, and all three were taken to the hospital, Corina said. Oscar Andrew Garcia, an 18-year-old Latino, died on Sunday, April 23, after he was shot in the 100 block of West Cypress Avenue in Monrovia, according to Los Angeles County coroner records. 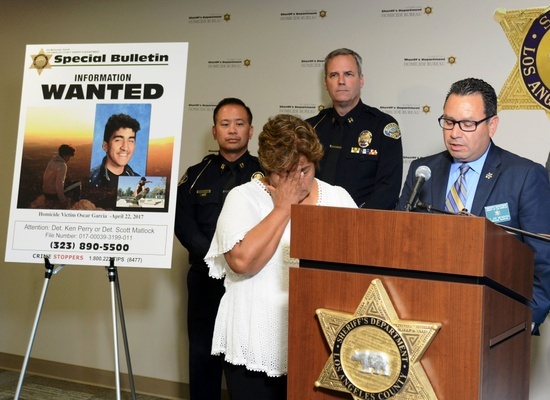 Garcia, a high school senior and aspiring photographer, had gone to the home of a female friend on Saturday evening with a male friend, Los Angeles County Sheriff’s Lt. Joe Mendoza said during a news conference May 11. The three students were talking in the garage about 11:36 p.m. when a man in his early 20s walked through the door and pointed a handgun at them, Mendoza said. "A brief verbal exchange occurred, and the suspect opened fire," he said. Wendy Ann Wright, a 37-year-old white woman, was shot and killed Friday, July 17, in the 100 block of North Grand Avenue in Monrovia, according to Los Angeles County coroner's records. Los Angeles County sheriff's deputies went to Wright's residence about 1:15 a.m. after receiving a shots fired call, according to a department news release. Investigators found Wright in the house with multiple gunshot wounds in her upper torso. She was pronounced dead at the scene at 2:18 a.m., according to coroner's records. Her husband, Cody Wricker, was found in the rear of the house, dead from a self-inflicted gunshot wound, according to the news release. Wright and Wricker, a 35-year-old white man, had been married for a year and had no children, according to the release. 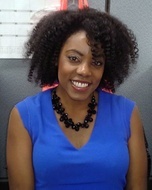 Lajoya McCoy, a 31-year-old black woman, was found dead Tuesday, June 16, in the 200 block of West Cypress Avenue in Monrovia, according to the Los Angeles County Sheriff’s Department. Family members reported McCoy missing June 15 after she missed some appointments, said Lt. Victor Lewandowski. She had last been seen the week before, he said. That day, Monrovia police officers went to her apartment in the 800 block of West Olive Avenue, found evidence of foul play and asked the Sheriff’s Department for assistance in investigating her disappearance. Investigators did an extensive search the following morning and found McCoy’s car on Cypress Avenue, about a mile from her home. The body of a black female was found inside, however, “due to the condition of the remains,” investigators were not able to immediately identify the body, Lewandowski said. Alice Medina-Kaplan, a 46-year-old white woman, was found dead Sunday, Sept. 21, in the 200 block of Mauna Loa Drive in Monrovia, according to Los Angeles County coroner’s records. Sheriff’s Department deputies received a call Sunday expressing concern for Joel Velazquez, 49, and his girlfriend, Medina-Kaplan, according to a news release from the department. Monrovia Police were also called and went to Medina-Kaplan's parents' home, where they found her body in a Lexus SUV parked in the backyard. Velazquez was also in the backyard. Velazquez, who is Latino, was detained and later booked on suspicion of murder, according to the Sheriff’s Department. He was charged with murder Sept. 23 and is being held on $1-million bail, according to the Los Angeles County district attorney's office. Posted Oct. 17, 2011, 12:16 p.m.
David Blair, a 62-year-old white man, was shot and killed Friday, Oct. 14, in the 200 block of North Mayflower Avenue in Monrovia, according to Los Angeles County coroner's records. At the time of his death, Blair, of Memphis, Tenn., was living with a family in Monrovia, said Ed Winter, spokesman for the coroner's office. Blair had a history of bipolar disorder, Winter said. In the early morning, he walked into a bedroom where the husband and wife were sleeping and began threatening them with a bat. The husband then shot Blair, Winter said. Authorities were called and the victim was pronounced dead at the scene at 5:29 a.m. The coroner’s office provided no other information about the case. Raul Rivera, a 49-year-old Asian man, died of blunt-force trauma Thursday, April 15, in the 1300 block of South Alta Vista in Monrovia, according to Los Angeles County coroner's records. Rivera had been involved in a violent altercation with a man who lived in his apartment complex about 4:15 p.m., according to Monrovia Police Sgt. Nick Manfredi. After the fight, he was taken to Arcadia Methodist Hospital where he died at 5:09 p.m., according to coroner’s records. Ed Winter, spokesman for the coroner's office, said Rivera died from a subarachnoid hemorrhage, or bleeding in the brain. Authorities arrested Leuli Loi-On, a 37-year-old Asian man, after he turned himself in the day of Rivera's death. He has been charged with involuntary manslaughter, Manfredi said. Posted Dec. 15, 2009, 8:20 p.m.
Jason Gentile, a 22-year-old white man, was shot and killed Tuesday, Dec. 15, at South California Avenue and East Colorado Boulevard in Monrovia, authorities said. Gentile was killed -- and a 21-year-old female friend wounded -- when they were shot crossing a street in Monrovia, authorities said. The two were walking near California Avenue and Colorado Boulevard shortly after 8 p.m. Tuesday when they were approached by at least five men, one of whom pulled out a handgun and fired several shots, said Steve Whitmore, a spokesman for the Los Angeles County Sheriff’s Department. The assailants fled the scene, said Whitmore, whose agency is assisting the Monrovia Police Department with the investigation. Gentile, who lived in the neighborhood, was pronounced dead at the scene at 8:20 p.m., and the woman, who was shot in the foot, was treated and released from a hospital, he said. Posted Sept. 11, 2009, 12:28 p.m. Shortly after noon on Friday, Sept. 11, Brian Lee Randone, a 45-year-old white man, called 911 to report that his girlfriend of several months was not breathing. Authorities found Felicia Tang Lee, a 31-year old Asian woman, dead in the home in the 500 block of West Duarte Road in Monrovia that she shared with Randone. When responding officers arrived at the scene, they determined the evidence did not support Randone’s account of what happened, said Lt. Liam Gallagher of the Los Angeles County Sheriff’s Department. Randone was arrested within hours and was charged four days later with killing and torturing Lee. He is in jail in lieu of $2-million bail. Lee — an actress and model — had been beaten and choked, according to authorities. Prosecutors said torture charges were filed because of the severity of her injures and evidence that she died slowly. Posted Jan. 29, 2008, 8:48 p.m.
Brandon Lee, a 19-year-old black man, was shot in a drive-by shooting at 520 Almond Ave. in Monrovia about 7:15 p.m. Tuesday, Jan. 29. Lee was standing outside when a green GM model car drove up and someone inside began shooting. He was taken to a hospital, where he was pronounced dead. Times story. Posted Jan. 26, 2008, 9:48 p.m.
Samantha Salas, a 16-year-old Latina, was fatally shot in the 2500 block of Peck Road in Monrovia about 9:15 p.m. Saturday, Jan. 26. According to Deputy Bill Brauberger of the Sheriff's Department, Salas was standing outside with a friend when two men approached them and began shooting. The men fled north on Peck Road. Salas was taken to a hospital, where she was pronounced dead. Her friend was taken to another hospital, where she was listed in stable condition. The shooting was gang-related, authorities said. More information is available from the San Gabriel Valley Tribune. Posted Jan. 13, 2008, 8 p.m.
Sanders Rollins, 63, a black man, was killed in a drive-by shooting at 1234 Sherman Ave. in Monrovia about 7:18 p.m. Sunday, Jan. 13. Rollins was getting out of his vehicle when a light-colored Honda Civic drove by and someone inside began shooting. Sanders was hit in the back and later taken by ambulance to a hospital, where he was pronounced dead at 8 p.m. The shooting was gang-related, according to the Los Angeles County Sheriff's Homicide Bureau. Anyone with information is asked to call (323) 890-5500. Posted Nov. 6, 2007, 12:21 a.m.
Christine Rodriguez, 35, a Latina woman, was shot in the head at 860 Walnut Ave. in Monrovia and died at 12:21 a.m. Tuesday, Nov. 6. According to the Pasadena Star News, this case was a murder-suicide. Rodriguez's boyfriend, Michael Wright, 30, killed himself shortly after killing her.